1. 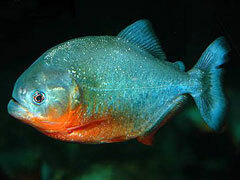 Piranha fish are a popular pet for some people, and they are freshwater fish that can work well with tropical fish tanks as long as care is taken with the choice of tank mates. These fish can be exciting to watch when they are fed, as long as you are not squeamish. There are a number of Discus fish diseases which can affect your aquarium, and some of these diseases can have an impact on other types of fish in the tank as well. 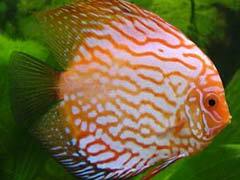 It is important that anyone who owns these tropical fish understand all about the proper Discus fish care, to prevent stress and diseases and keep the fish healthy. Discus Fish Care – Top 10 Things To Remember! 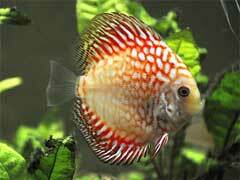 Discus fish care is a much talked about subject, especially given the popularity of these fish. Here are some top tips you need to remember when taking care of these fun and beautiful freshwater tropical fish. 1. Tank Size – Remember that discus love deep tanks that hold a lot of water. Try to get the largest permitted by your space and budget. You need a depth of at least 18 inches. If you are looking for great choices in freshwater aquarium fish, you can find ten of the best choices right here. The list below includes some of the best choices for these types of aquarium setups. 1. 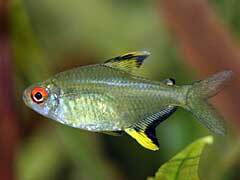 Cichlids – This group of fish includes more than 900 different species including the popular discus fish. These fish come in a wide range of brilliant colors but most are social so you’ll need quite a few and that means a big tank.